We’re excited to announce a new chapter in the Furnley House journey. This month we have opened our new office at the prestigious Arthur House in Belfast. Previously our Northern Ireland office was based in Magherafelt, but as we grew it made sense to relocate to be based nearer to the professional connections that we work with. The Belfast office will be managed by Paul Chada, who you can read about here. Paul is very excited about the new office and looking forward to meeting all his new neighbours. 1. Belfast is nicknamed Linenopolis. When the U.S. Civil War disrupted Europe’s cotton supply, Irish linen experienced a revival. Linen companies flourished, and Belfast became the world’s largest linen-producing area, hence the nickname. 2. 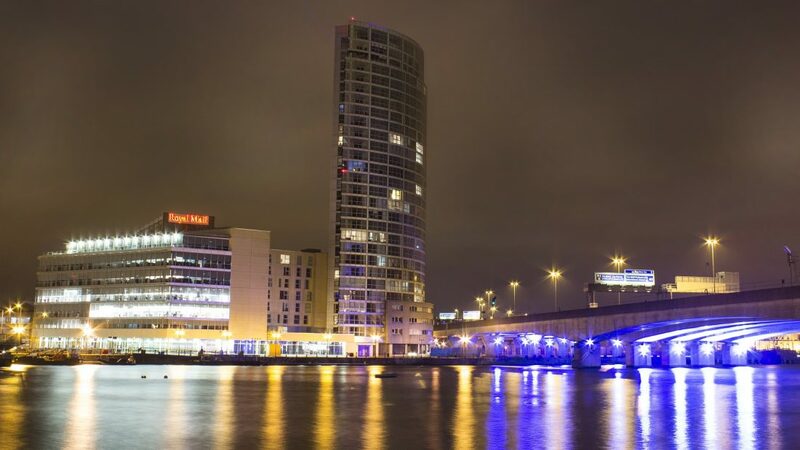 Due to its location at the mouth of the River Lagan, Belfast is an ideal location for the shipbuilding industry. In fact Harland and Wolff had the largest shipyard in the world when it built the RMS Titanic in 1911-1912. Whilst the Titanic is infamous for sinking, as many locally will tell you – it was fine when it left Belfast! 3. 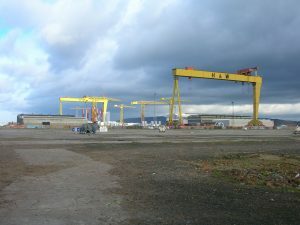 Belfast is the location for the two biggest free-standing cranes anywhere in the world. Named Samson and Goliath, they have been classified as official historical monuments. 4. Cavehill is believed to have inspired author Jonathan Swift’s sleeping giant in his Gulliver’s Travels novel. When Swift resided at Lilliput Cottage near the bottom of Belfast’s Limestone Road, he imagined that the Cavehill resembled the shape of a sleeping giant safeguarding the city. 5. Actor Liam Neeson had his stage premier at Belfast’s Lyric Theatre. Neeson was born in the town of Ballymena, County Antrim, located 28 miles northwest of Belfast. 6. Belfast has it’s own micro-climate as a result of being surrounded by mountains. This micro-climate is perfect for horticulture, hence Belfast containing 3,000 acres of parks, many of them forested. 7. Suffering from indigestion? You can thank James Murray for inventing Milk of Magnesia in Belfast. 8. C.S. Lewis was born in Belfast, and the nearby countryside helped inspire The Chronicles of Narnia. 9. John Wood Dunlop invented the pneumatic tyre in Belfast in 1887. 10. Belfast has the world’s largest dry dock. We’re very excited about our new office and what the future may hold. If you’re based in Belfast and would like to get in touch please contact us. We’d love to hear from you.